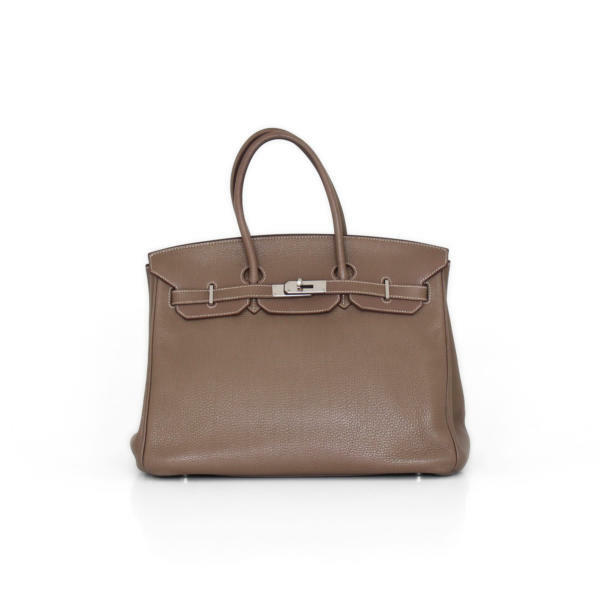 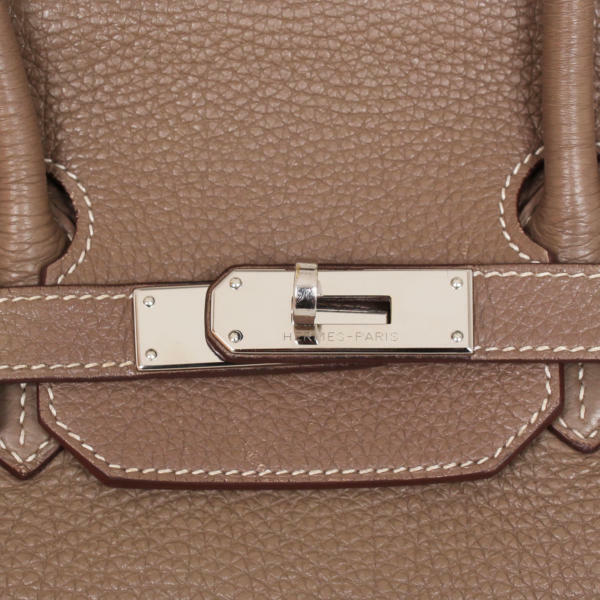 This Hermès Birkin 35 bag in versatile color as the taupe with white contrast stitching is elegant and sporty. 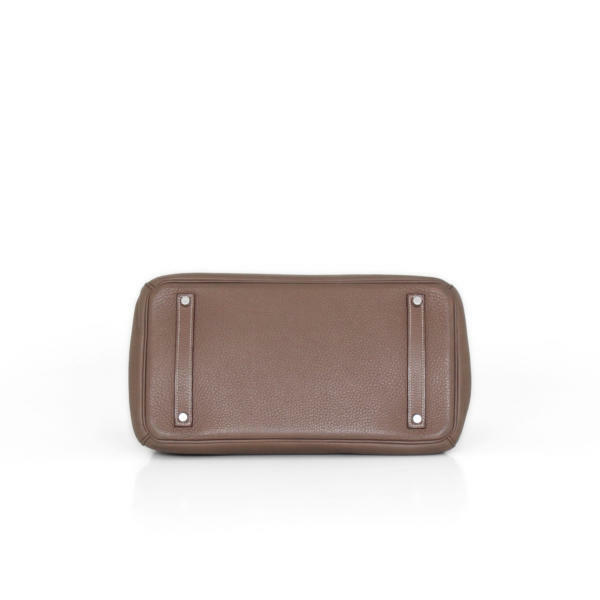 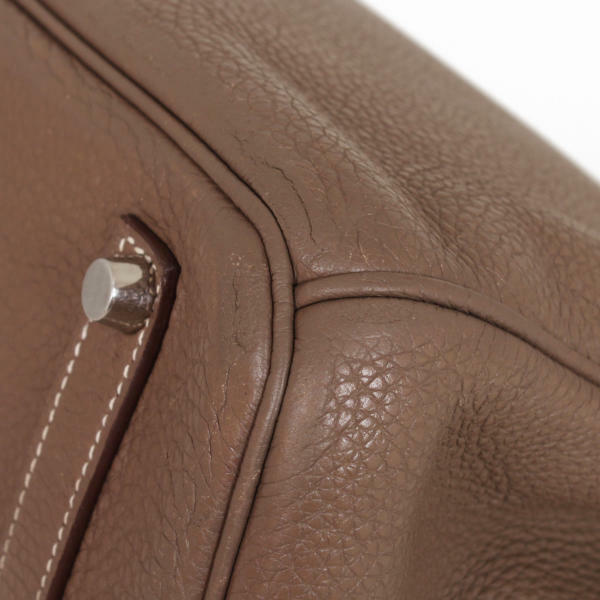 This Birkin 35 bag by Hermès is made of Togo leather in Taupe color. 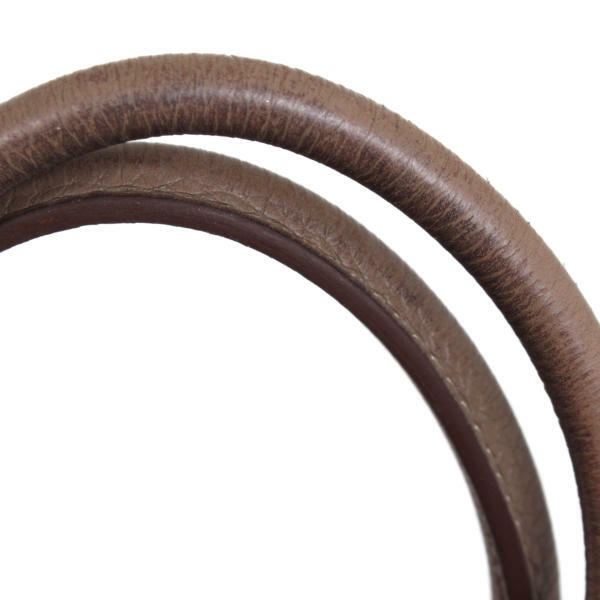 The Togo leather is granulated, soft and is easy to care. 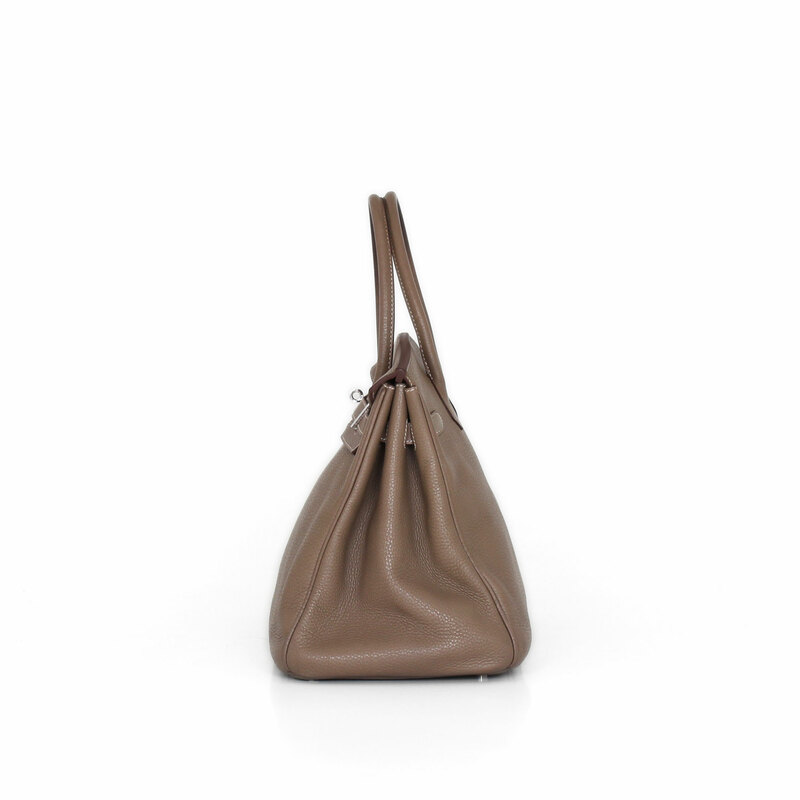 The color Taupe is a neutral color that, combined with the palladium fittings, allows it to be an easy bag to wear with all your clothes. It consists of two handles to carry the bag by hand and the characteristic tripartite flap with the typical closure of the house. 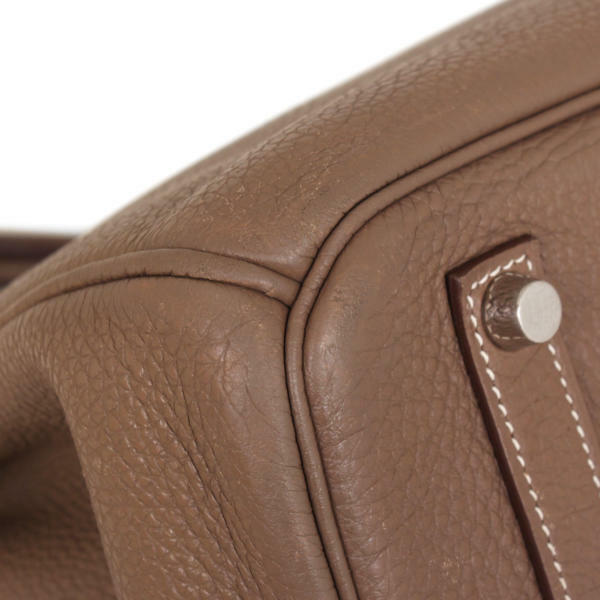 In its spacious interior includes two pockets, one with zipper and one open. 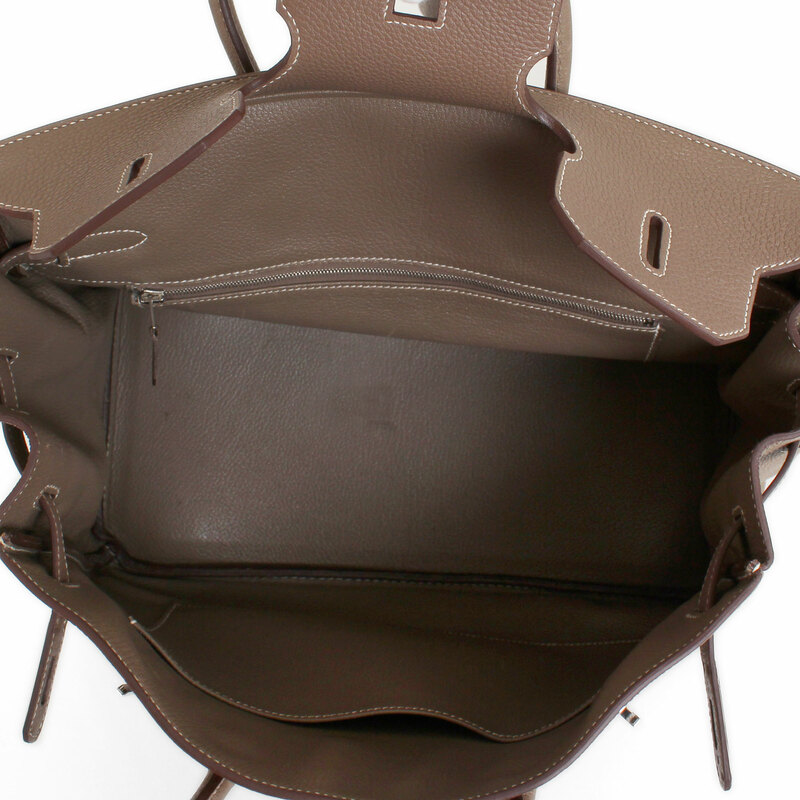 In the base has four metallic feet to protect the bag. 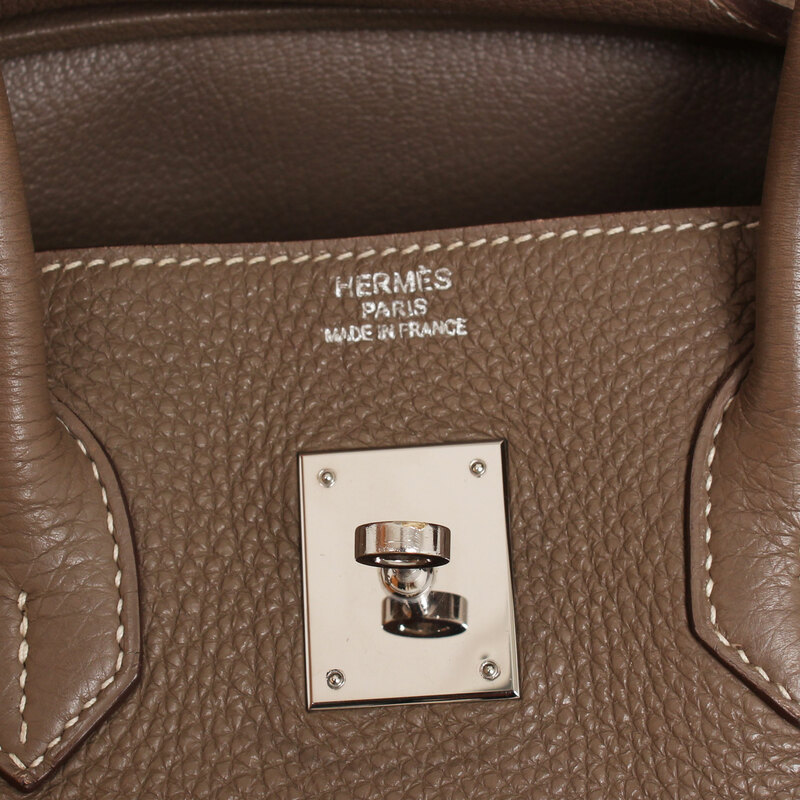 In CBL Bags we are dedicated to buying and selling bags of luxury brands like this unique bag Birkin 35 Hermès.